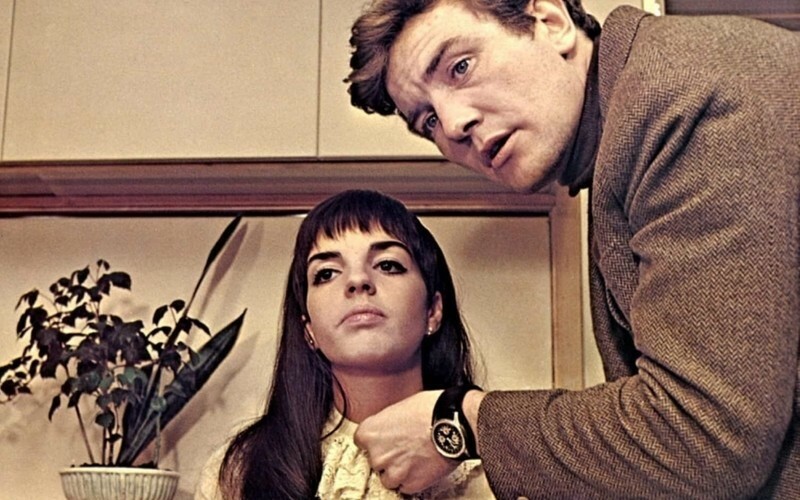 The restless Albert Finney first made an impression in “Saturday Night and Sunday Morning” (1960), where he played a rebellious and fed-up factory worker who says, “What I’m out for is a good time … all the rest is propaganda.” Finney was part of a generation of British performers who did not try to hide their lower-class origins or accents, and he was maybe the strongest and most intimidating actor of his generation. (Anthony Hopkins has spoken often of how much he admired Finney’s work and its depth of feeling.) He played most often on stage, and he could be gone from movies for years at a time, even in his prime. As an older man, Finney spoke of his absences in an interview as his “scarcity value.” He knew that we would love him more if we always wanted more of him. Finney turned down the role of Lawrence of Arabia after submitting to a four-day screen test because he didn’t want to be tied down to any contract, but he became a star in America with the success of “Tom Jones” (1963), where his naughty smile was an emblem of the period and the new sexual mores. As always, Finney looked askance at extreme success or celebrity, and after the failure of “Night Must Fall” (1964) he spent a lot of time just traveling the world with a girlfriend before taking the part for which he is cherished by the most romantic among us: Mark Wallace in Stanley Donen’s “Two for the Road” (1967), a story about a marriage in which he warmed and rescued and also tormented Audrey Hepburn’s character Joanna. Hepburn had been in a marriage to actor Mel Ferrer where he had often treated her more like a daughter than a wife, and that marriage was finally breaking down when she shot “Two for the Road” with Finney. He was only seven years younger than Hepburn, but to her he felt like the new generation, and their fond feelings for each other suffuse "Two for the Road" with the kind of intense romantic emotion that is very difficult to fake. The way that Hepburn looks at Finney with enormous love in “Two for the Road” is a challenge that he and his character cannot match, and that’s partly what the movie is about. Joanna loves Mark in a way that he cannot love her, and this was expressed in their contrasts: his physical beefiness and her skinny frailty, his flat vowels and her fey cadences. Finney directed an offbeat movie called “Charlie Bubbles” (1968) in which he played a successful novelist, and it was a gesture towards grappling with his misgivings over his own success. He worked sparingly and was unrecognizable as Hercule Poirot in “Murder on the Orient Express” (1974), where his characterization was somewhat strenuous. Finney was testing himself against Shakespeare and Samuel Beckett on stage in the 1960s and 1970s, and so theater audiences often got the best of him. But in the early 1980s, Finney did his most impressive film work, turning in four performances in a row that displayed his range and appetite. As Daddy Warbucks in “Annie” (1982), Finney showed that he was capable of musical comedy and even did some light hoofing for the finale. “Shoot the Moon” (1982), like “Two for the Road,” is the story of a marriage falling apart, but this movie made far greater demands on Finney’s talent. It begins with a scene of him breaking down in tears, and he is only expected to go further and further into despair and rage as the man he is playing, a writer named George Dunlap, feels left out of family life when he leaves his wife Faith (Diane Keaton) and four young daughters. There is a scene in “Shoot the Moon” where Finney’s George tries to get into his former home to give his daughter Sherry (Dana Hill) a birthday present. Sherry is angry with George and doesn’t want to see him, and Faith is angry in her own adult way with him, and it is in this scene of enormous pressure that Finney shows the depths of demon emotion that lurk inside him. George forces Faith out the door and locks her out of the house, and he finds himself beating Sherry because he feels she hates him so much, but then the dynamic shifts, and George looks like a beaten child himself when Faith comes rushing up to rescue Sherry. George slowly walks out of the house that is no longer his, and when he gets outside he starts to run. When it comes to the portrayal of self-destructive and self-sabotaging male anger and vanity, Finney’s George in “Shoot the Moon” has not been equaled or surpassed, especially in the stiff way he waves right before totally mucking everything up at the very end of the film. He played an old Shakespearean barnstormer called only Sir in “The Dresser” (1983), working in balance with his longtime friend Tom Courtenay, who played the title character. Famously fond of lifting a few, Finney charted the deterioration of a clinical alcoholic in John Huston’s “Under the Volcano” (1984), a very difficult role that Finney saved from monotony with the slow-burn danger of his playing. There is the feeling at his death that we should have had more of him, somehow, more films like “Two for the Road” and “Shoot the Moon,” but those two movies about marriage will define his legacy as one of the finest, most upsetting, and most beguiling actors of his time. His charm was sometimes his harsh lack of charm, or withholding of charm and easy answers. Finney could have had a lucrative Hollywood career after “Tom Jones,” but he chose life and the rigors of the theater instead, most of the time. He loved horses, beautiful women, and a good drink or three. His youthful smile brought Audrey Hepburn to new life, and his doubts deepened the testing dramatic parts that he took on screen in the 1980s. Thinking about his work, I keep fastening on the moment when Finney looks at Hepburn on the beach in “Two for the Road” and says, “Too late, they cried, too late!” before giving her an enveloping kiss as Henry Mancini’s theme music swells on the soundtrack. Albert Finney. Too late, they cried, too late!